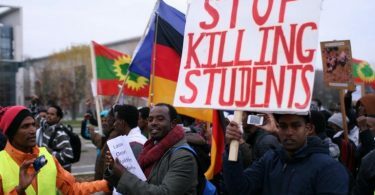 (OPride) — Ethiopia must revise its controversial and flawed anti-terrorism proclamation and stop its routine application to stifle free expression and political dissent, the Oakland Institute and the Environmental Defender Law Center said in a new legal brief. The United Nations and numerous international human rights groups have long accused Ethiopia of criminalizing dissent using the 2009 anti-terrorism law, which according to the new analysis by the Oakland Institute, gives police and security forces unprecedented powers to curtail citizens’ rights. The damning 22-page report compiles existing legal analysis of the law and the government’s rampant misuse. Since its enactment six years ago, hundreds of people — from all walks of life — including government opponents, exiled and domestic opposition leaders, journalists, and human rights defenders have been charged as terrorists under the law, the report said. Some critics have even been charged for alleged crimes that took place before the law was ratified. Unlike other anti-terrorism laws in the post 9/11 era, the manner in which Ethiopia’s law have been applied “violates international human rights law, as well as modern criminal justice and due process standards,” the report said. “In short, the law is a tool of repression, designed and used by the Ethiopian government to stifle its critics and political opposition, and criminalize the robust discussion of matters of enormous public interest and importance.” Suspects have been sentenced to long-term imprisonment and even the death penalty for offenses that don’t fit any credible definition to terrorism, the report added. The Oakland Institute’s conclusions draw on wide-ranging criticism for the content and misuse of Ethiopia’s terrorism proclamation, including prior findings by the U.N. Commissioner for Human Rights, the U.N. Special Rapporteur on Counter-Terrorism and Human Rights, the U.N. Special Rapporteur on Human Rights Defenders, the U.N. Special Rapporteur on the Rights to Freedom of Peaceful Assembly and of Association, the U.N. Special Rapporteur on the Independence of Judges and Lawyers, the African Commission on Human and People’s Rights, and the United States government and the European Union. The report, Ethiopia’s Anti-Terrorism Law: A Tool to Stifle Dissent, detailed behaviors that would otherwise be considered legitimate in democratic countries. It documents the arrest and trial of Zone 9 bloggers, who spent nearly 18 months in jail for writing articles critical of those in power; the arrest and charging of former World Bank Inspection Panel interpreter, Okello Akway Ochalla; the kidnapping in Yemen of UK citizen and opposition leader Andargachew Tsege; the prior conviction based on falsified evidence and recent re-arrest of Oromo opposition leader Bekele Gerba and several government critics and journalists, including Eskinder Nega. Ethiopia faces sustained protests in the Oromia region. At least 150 people have been killed in the heavy-handed crackdown on peaceful protests that began in mid-November. The European Parliament on Thursday adopted a 19-point resolution that has been hailed as the “strongest” yet from the international community. The parliament “strongly” condemned the use of violence by Ethiopian security forces and renewed reports of human rights violations in Ethiopia. It urged Ethiopia to immediately release “all those jailed for exercising their rights to peaceful assembly and freedom of expression.” The resolution also called for “a credible, transparent and independent investigation into the killings” of Oromo protesters and related human rights violations in the country. Unsurprisingly, Ethiopia has accused peaceful protests of being terrorists and tools of “anti-peace forces” bent on destabilizing the country. Thousands of protesters, journalists, and Oromo opposition leaders, who were swept up in the widening security dragnet over the past two months are likely to be charged under the sweeping anti-terrorism law. 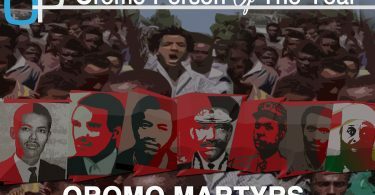 Unfortunately, the government’s well-documented misuse of the law to curtail free expression and political dissent, as documented by the Oakland Institute report, suggests that the fate of Oromo protesters will not be different. In a related development, a group of United Nations human rights experts called on Ethiopia “to end the ongoing crackdown on peaceful protests” and ensure accountability for abuses by its security forces. “The sheer number of people killed and arrested suggests that the Government of Ethiopia views the citizens as a hindrance, rather than a partner,” the U.N. experts said.